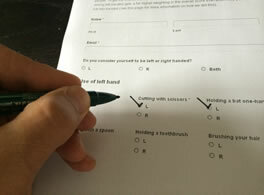 Most “normal” knives for right-handers are serrated on the LEFT of the blade – the idea being that the effect of the serrations counter-acts the natural inward (clockwise as you see it) twisting action of the right hand, leading to a straight cut. If a left-hander uses one of these knives, the serrations actually EMPHASIZE the natural anti-clockwise twisting motion of the left hand which leads to the classic “overhanging” loaf or whatever is being cut. 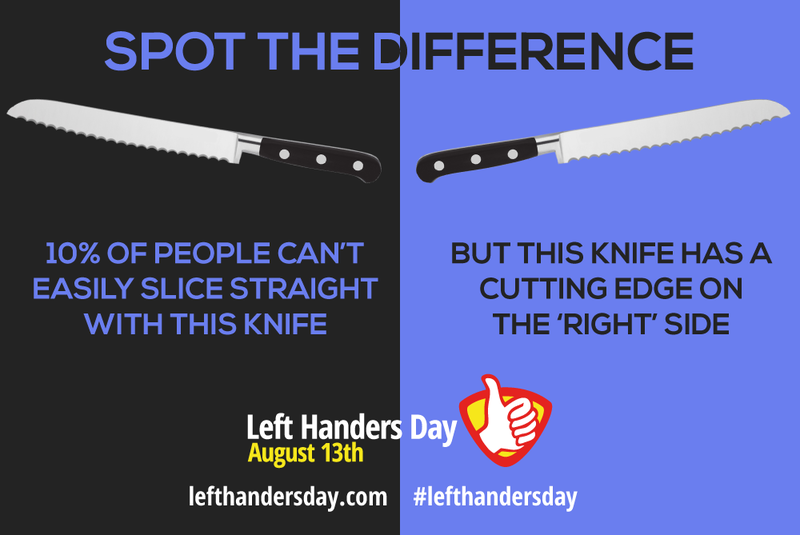 All our knives are serrated on the RIGHT side of the blade to give the correct balanced action for left-handers and generally people are very pleased that they can suddenly cut straight! 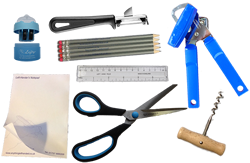 The “essential” equipment for a safe and easy left-handed life and to show your friends and family what is different about left-handed products. 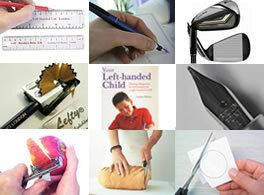 Fully left-handed versions of our most popular products. The products are packed in a good quality zip seal clear bag with an insert giving full product details and makes an ideal present. I must be odd then – I checked our knives, and they match the description of the right-handed ones (serrations on the left). But I never have any trouble using them in my left hand; in fact, once I was cutting a loaf of bread, making beautiful straight slices, when my right-handed mom came along and wanted a slice. But, being evidently rather impatient (and I’m not excessively slow! ), she took the bread and the knife, turned the loaf around, and hacked off a very crooked slice, spoiling my nice straight end, and I had to cut the next few slices a little crooked to compensate until I got it straight again.